Both the iPad Mini 4 and iPad Mini 3 has the same 7.9-inch, 2,048x1,536-pixel display. The display still looks great at all angles, with plenty of contrast, great color reproduction and all the IPS goodness you've come to expect. Overall, the iPad Mini 4/3 are quite handy and perfect for watching movies on the go. However, because of copy protections and format reasons, iPad Mini is unavailable for playback Blu-ray movies. To get Blu-ray videos into iPad Mini 4/3, you'll need to rip and convert Blu-ray to iPad Mini 4/3 compatible video format first. To rip Blu-ray to iPad Mini 4/3 easily and quickly, you're recommended to use EaseFab Blu-ray Ripper for Mac. With intuitive and easy-to-navigate interface, this program can easily convert Blu-ray to iPad Mini 4/3 friendly format with fast speed and high output video quality. This Mac app provide an optimized preset for iPad Mini so you don't need to worry about the settings for your iPad Mini 4/3. 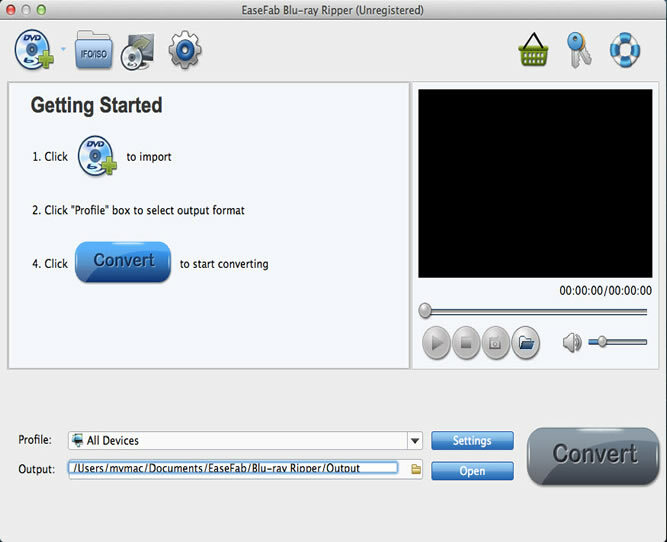 In addition, the Mac Blu-ray Ripping tool can also convert Blu-ray/DVD to various popular video formats like AVI, MP4, MOV, MPEG, FLV, MKV, etc. as well as rip Blu-ray/DVD to optimized video for playback on Samsung Galaxy, iPod, iPhone, Zune, Creative Zen, Archos, iRiver, Blackberry, Xbox 360 and more. Ripping Blu-ray to iPad Mini 4/3 on Mac (OS X E1 Capitan) is as simple as ABC. After downloading, follow the wizard to install and run the program. Then follow the steps below to finish the task in a few clicks! If you're using a Windows PC, turn to the Windows version here. This guide uses the Mac version screenshots. Just make sure you download the right version. If you only have movies on DVD discs, please turn to DVD Ripper for Mac. Insert the Blu-ray disc to the BD drive (necessary for ripping Blu-ray discs) or DVD to the DVD-ROM and click the "Load Disc" button to have movies uploaded to the Mac Blu-ray to iPad Mini Converter. 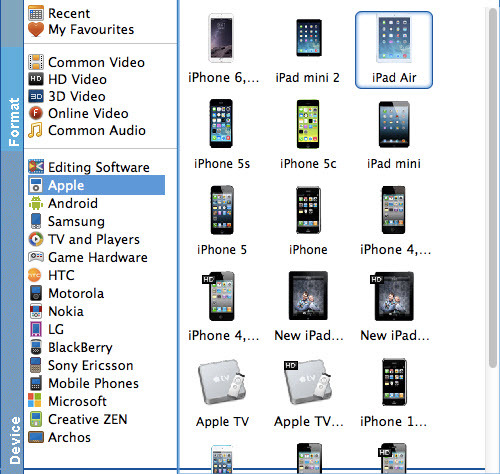 Here you can also import DVD folders, ISO files and IFO files to convert. When you have finished all the above settings, you can simply click the Convert button on the main interface and let the software do the Blu-ray to iPad Mini conversion on Mac for you. All the conversion tasks will be done at fast speed and you will get a high output quality. When you complete the process and rip Blu-ray to iPad Mini, you can connect the device to your computer to sync the converted Blu-ray movies to iTunes library. From here, you are ready to enjoy your high quality videos on iPad Mini 4, iPad Mini 3 on a plane or in the car. a. If you want to watch Blu-ray on iPad Mini with desired subtitle, you can click the drop down menu after "Subtitles" to select your desired one.